A remote, beautiful alternative to the throngs on the Inca Trail: a 2-3 day circuit in magnificent Andean scenery. Visit secluded farms and ancient townships for a fascinating insight into authentic Quetchua (indigenous Peruvian) culture. You are likely to meet rosy-cheeked Andean children and local people, in abundantly coloured, hand-woven, traditional dress; as well as a range of wildlife: from poised Llama and Alpaca to the affable Andean sheep. 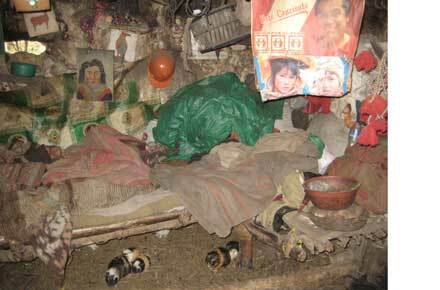 This is a strenuous trek in remote mountains, where night-time can fall very swiftly. The toughest climb will be within the first six hours and altitude can be a problem. Take care to acclimatize yourself first, particularly if flying directly to Cusco, without respite. Tricky to track down a detailed map; local guides are recommended and relatively inexpensive. 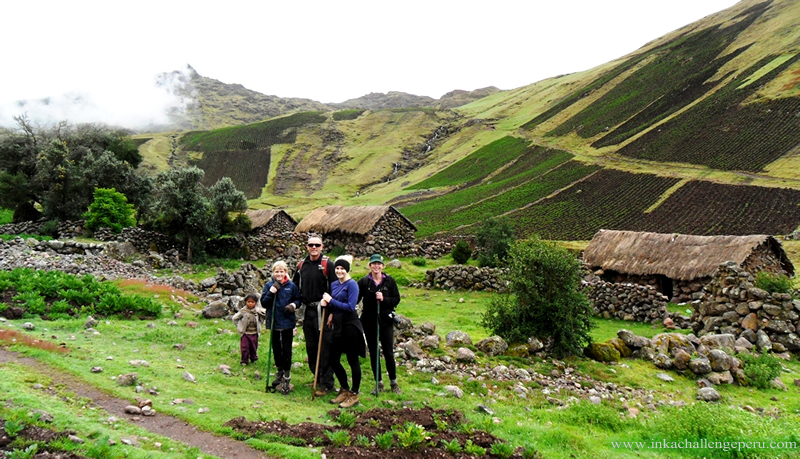 The Lares Trek is an excellent alternative to the Inca Trail, for those who seek an enthralling insight into Andean life further off the beaten track, as well as sensational views of the mountains and surrounding valleys. Lares is similar in duration, altitude and difficulty to the Inca Trail; it is easily accessible from Cuzco and, although in essence a circuit, can also culminate in a visit to the lost Inca city of Machu Picchu. It is worth noting that there are several variants around the Lares Valley area, so do check out whether you would like to go further ? and higher! 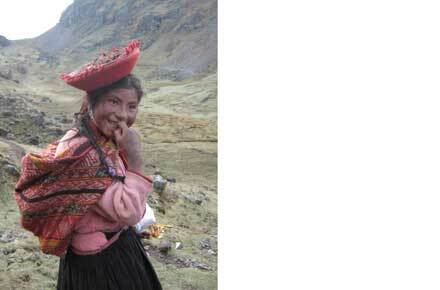 The Lares Valley lies to the east of the Urubamba range, traversing part of the Sacred Valley. With ancient terracing carved geometrically into the side, like ranks of troops protecting the Inca strongholds below, we are poignantly reminded of the strong, pioneering - yet ill-fated - people, who worked this soil over 500 years ago. Blessed with fecund plains and a fruitful climate, the Sacred Valley was the cradle of the Inca civilisation during the 14th and 15th Centuries. Linking the majestic Andes with Peru?s tropical jungle lowlands, this lush agricultural region is the thrilling palimpsest of Inca toil, innovation and culture. After exploring the spectacular fortress of Ollantaytambo - held to be the most intact surviving example of Inca town planning - you can wend your way up into the mountains, by minibus, to the spa town of Lares - then to the trail-head at the small village of Kiswarani. 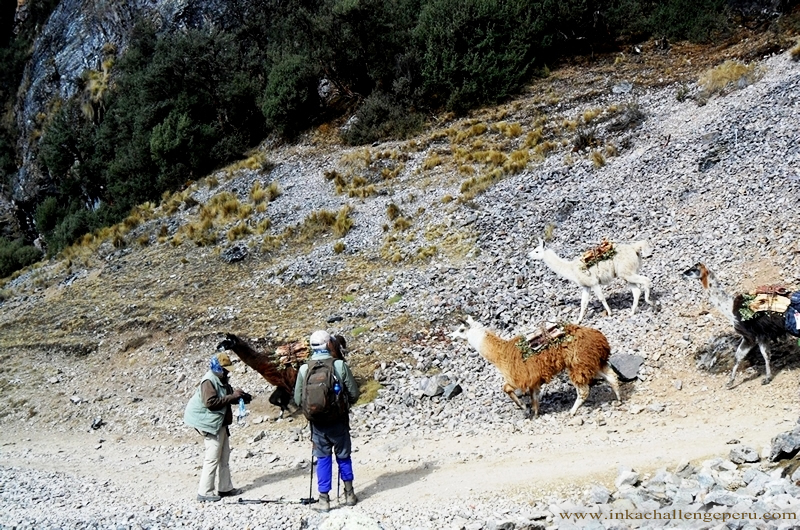 If making an organised expedition, you are likely to be accompanied on your journey by a local crew, comprising of a guide and cook, as well as alpacas, llamas, herders, mountain horses and horsemen, who will carry the larger packs, tents and cooking materials, so that you may have the luxury of trekking with just a daypack and stick (if you don?t have your own, Peruvians recommend hiring retractable hiking sticks, rather than buying cheap wooden ones in Cuzco - these usually aren?t farmed ethically). 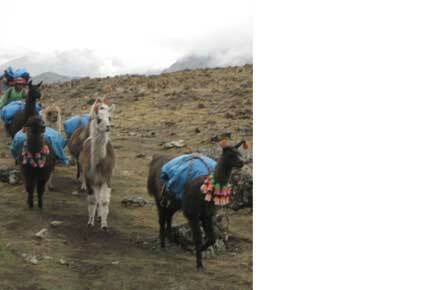 After a nutritious picnic lunch of quinoa and vegetables, you may begin your ascent to the Kiswarani Pass (4400 m). Observe a bucolic Eden of grazing alpaca, abundant lichens and puna grasses, and abounding glacial lakes - as well as incredible views of the snow-capped Urabamba mountains from the summit. Descend to Kunkani before nightfall, to set up camp and investigate the hamlet of traditional adobe huts under grass roofs. On the second day, it?s possible to interact with the locals, who, if you?re lucky, might invite you into their homes, to experience a flavour of Andean living ? not far removed from Inca times. 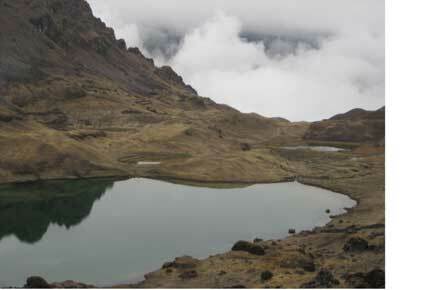 Climb for four hours or so, to the rocky Kunkani Pass, then up to the most taxing summit, Ipsayqocha, at 4,500m. It is traditional to make an apacheta at the highest point: a pile of stones offered to Pacha Mama (the Inca Mother Earth). Descend to the grassy plateau below to sleep for the night, where curious children, traversing the mountains with absurd speed, may come to help guide you down. The final morning stint is a relatively relaxed amble around the rim of the mountain, through woodlands, alongside gushing mountain streams and ethereal waterfalls and down to Patacancha, where the valley atmosphere is noticeably more temperate. Keep your eyes peeled for Andean geese, puna ibis, cara caras, chinchillas and condors. The Machu Picchu extension is a train ride to the great ruins, rather than a further walk.